“Everything that happens in the world happens in Twitter,” says Twitter itself, and we at GaggleAMP couldn’t agree more. A keystone in the social media platform community, Twitter plays a huge role in the connection of B2B and B2C relationships. As with any topical digital platform, Twitter is always changing and evolving to cater to more users in the easiest ways possible, providing the most methods for networking and sharing. Let’s take a look at what’s new and what’s coming in the Twitter’sphere! If you’re relatively inactive or just getting into the game in Twitter, then you’ll be happy to know that earlier in the year, Twitter gave users the ability to post richer Tweets that could include digital communications far beyond the standard 140-character text. In fact, users could upload videos, GIFs, and Vines as well as tag other users, upload multiple photos, and utilize emojis. To showcase all of this media, they launched a new profile design, and introduced a new way for partners to share premium video and audio on Twitter. In early 2015, Twitter will up the ante on its role as the “global town square” with video: You’ll be able to shoot, edit, and share videos directly in Twitter’s apps. “Imagine how events like the Arab Spring or local sporting events come to life when you can capture it in video and share it real time on Twitter,” said Christian Oestlian, a Twitter product VP, during his Analyst Day presentation. There are also other new updates expected to hit Twitter in the near future. For instance, users are constantly bombarded with Tweets that couldn’t possibly provide even the most avid of users an actual relevant snapshot of what’s happening right now. So, Twitter is experimenting with better ways to give users what they come to Twitter for: a snapshot of what’s happening. They’ll use information like who you follow and what you engage with to surface highlights of what you missed and show those to you as soon as you log back in or come back to the app. This is a benefit to you as a professional brand user, as you’ll see everything you come to Twitter to check out, providing easy access to market research outlets, and it’s also beneficial to other users as the more engaging your content, the more likely you are to repetitively show up on their home feed! There will also be an update to Direct Messaging, making it easier to connect with users privately in Twitter. These updates have already started to roll out, so keep an eye out for ways to engage with other users via this new system. Twitter is boosting its platform to help users - including businesses like yourself - to tap into more of the 500 million users. 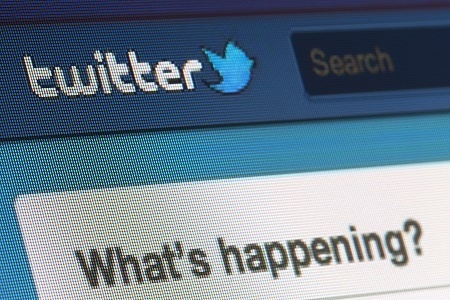 What would you like to see improved with Twitter to help you extend your social reach? Twitter as a recruiting tool! Here's how Twitter can help!